After a severe ischemic stroke, Bruce Schmoll has returned to life on his farm thanks to the multidisciplinary care he received at Mayo Clinic. March 22 was not a typical morning for Bruce Schmoll. He usually sleeps in on those days leading up to planting season, and his wife leaves early for work. But on that Thursday morning, Bruce was the one who woke up early to go on a fishing trip. While his wife was getting ready to head to the office, he went to the bathroom to shave. "I remember the razor falling out of my hand. And when I tried to pick it up, I couldn't. So I thought I might be having a stroke," the 64-year-old Southeast Minnesota resident says. "My wife came to check on me, and she could tell the left side of my face was drooping. She called 911 immediately." Bruce was having an ischemic stroke. These strokes happen when arteries to the brain become narrowed or blocked, significantly reducing blood flow. If left untreated, the stroke could have been disabling or even fatal. But thanks to the care he received from the moment he arrived at the Emergency Department at Mayo Clinic Hospital — Rochester until he was released three days later, Bruce didn't suffer any deficits from the stoke. Before long, it was back to his normal life as a farmer. When he arrived at the Department of Emergency Medicine, Bruce was seen by neurology resident Derek Stitt, M.D., and received tissue plasminogen activator, or tPA. This clot-busting drug has been shown to be effective for patients who receive it within several hours of the start of stroke symptoms. Bruce was then taken into the operating room, where Harry Cloft, M.D., Ph.D., a Mayo Clinic neuro-radiologist, performed a catheter-based clot retrieval. After the procedure, neurologist Jennifer Fugate, D.O., oversaw Bruce's care in the Neuro ICU. "When someone has an ischemic stroke, 2 million neurons die each minute. So every second matters," says Eugene Scharf, M.D., a neurologist who treated Bruce while he was in the hospital. "Starting the chain of survival early is critical." Eighty percent of the 800,000 strokes a year in the U.S. are ischemic strokes, which are a major cause of disability. But certified as a Comprehensive Stroke Center at its Rochester and Florida campuses and as a Primary Stroke Center at its Arizona campus, Mayo Clinic offers patients wide-ranging care to increase the likelihood of a positive outcome after a stroke. "When someone has an ischemic stroke, 2 million neurons die each minute. So every second matters," — Eugene Scharf, M.D. "Bruce's case represents the maximum amount of treatment we can give for acute ischemic stroke," Dr. Scharf says. "This is what all the decades of clinical research have been about: taking a patient whose brain is at risk; having a Comprehensive Stroke Center where neurologists, interventional radiologists and neurosurgeons administer rapid treatment; caring for that patient in a dedicated Neuro Intensive Care Unit; and having a cerebrovascular hospital service that is dedicated to finding the cause of the stroke and coordinating the rehabilitative efforts, if needed, so the patient hopefully goes home." 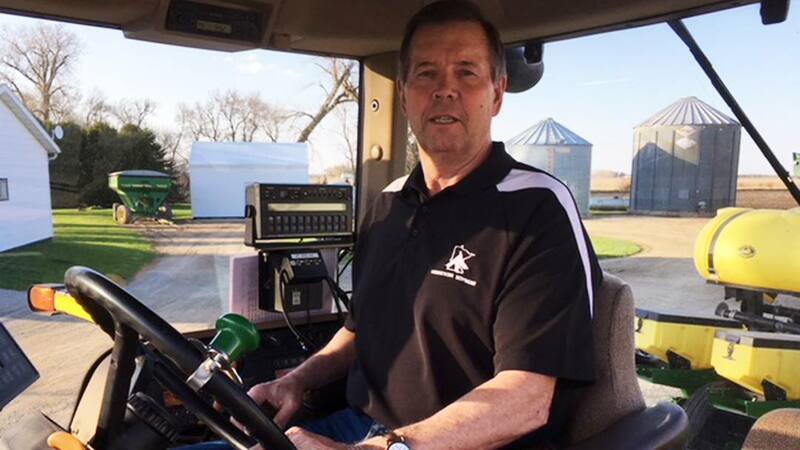 With the time to plant corn and soybeans just weeks away, Bruce was concerned the stroke could affect his ability to operate the machinery necessary to farm his 1,000 acres. He also was worried about being able to complete the conservation projects he's involved in. "I'm re-establishing existing fence lines along the borders of one of my fields with trees and shrubs to create habitat for wildlife," Bruce says. "It's important for me to do things that improve the land we're responsible for, so we can leave it in better shape. I need to be healthy so I can follow through on different things." Bruce didn't need to worry. The multidisciplinary stroke care he received at Mayo Clinic left him free of any impairments. "It's always amazing how many different people are involved in your health care while you're at Mayo. So many different doctors and nurses were in and out of my room. There were therapists to make sure I could walk and go up and down stairs," Bruce says. "Because of their quick and effective actions, I have fully recovered and am able to continue to lead a productive life. The level of care and skill they provided, in my opinion, is peerless." Along with his return to farming, Bruce also gets to enjoy watching his granddaughters run around the farm and create lasting memories. "This could have been so much worse, and I'm thrilled I'll be able to go through planting season again and will get to help my granddaughters pick trees from our Christmas tree plantation," he says. For Dr. Scharf, that's the ideal result. "It's great to see the chain of survival in modern stroke care do what it's supposed to do," Dr. Scharf says. "To see how he's able to continue his life and participate in the things he's passionate about keeps the fire going for me." Read about stroke care at Mayo Clinic. Talk with others about life after a stroke on Mayo Clinic Connect.